Muhammad al-Zahrani, imprisoned at Guantanamo since 2002, returned home to Saudi Arabia today. He agreed to participate in the Saudi rehabilitation program. Al-Zahrani is the 13th prisoner to leave Guantanamo Bay this year and the seventh in just the past two weeks. Officials have said more prisoners will be released in the coming weeks as part of a renewed effort to close the site. Seventy three are already cleared for release. 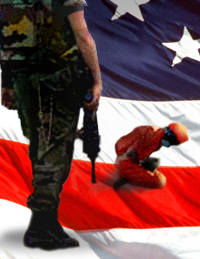 142 detainees remain at Guantanamo. 73 of them have been cleared for release. Five Guantantamo detainees, four from Yemen and one from Tunisia, have been transferred to Georgia and Slovakia. Obama has now transferred 100 detainees during his presidency. There are 143 detainees remaining at Gitmo. Guantanamo detainee Fawzi al-Odah has been transferred home to Kuwait. Held for 13 years without charges, al-Odah's father says he was a teacher in Afghanistan who was kidnapped by bounty hunters and sold to the U.S. The Periodic Review Board found he received training but had no leadership position. The board, however, determined that he had only a low level of training and did not have a leadership position in either group. He will be required to participate in a militant rehabilitation program in Kuwait. 148 detainees remain at Guantanamo. 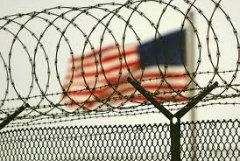 The Wall St Journal (free link) reports President Obama is planning on closing Guantanamo through various executive actions, if necessary, to get around Congress' restrictions on detainee transfers. Of the 149 who remain, 79 have been approved for transfer by national-security officials but remain because of political or diplomatic obstacles in repatriating them. The New York Times has some new articles on the decaying of Guantanamo. Camp X-Ray is now a "ghost prison." Here are the photos. The original complex, Camp X-Ray — with kennel-like cages that were used for about four months in 2002 while Delta was built — is a ghost prison, overrun by vegetation and banana rats, tropical rodents the size of opossums. Five Afghan detainees at Guantanamo have been traded for the release of Sgt. 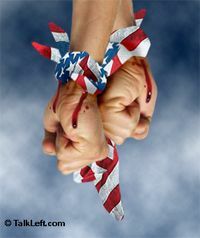 Bowe Bergdahl, an American soldier being held in Afghanistan. The detainees were delivered to the Government of Quatar in Cuba, while U.S. commandos picked up the soldier in Afghanistan. Quatar was instrumental in the negotiations. The White House says the detainees were members of the Taliban, not al Qaeda. All five have been held at Gitmo since 2002. The Supreme Court today denied cert in the case of Guantanamo inmate Abdul al Qader Ahmed Hussain who said the lower court failed to exercise meaningful review in determining whether there were sufficient grounds to hold him at Gitmo. The lower court had ruled its authority was limited. The Court has not directly addressed whether theAUMF authorizes, and the Constitution permits, detention on the basis that an individual was part of al Qaeda,or part of the Taliban, but was not “engaged in an armed conflict against the United States” in Afghanistan prior to his capture. Nor have we considered whether, assuming detention on these bases is permissible, either the AUMF or the Constitution limits the duration of detention. Breyer said since Hussein had not raised these issues, he was agreeing with the majority. President Obama signed the NDAA (National Defense Authorization Act for Fiscal Year 2014) in Hawaii today. He also released this signing statement criticizing Congress for its restrictions on transferring Gitmo detainees to the U.S. and preventing federal trials.